Rivers:- Now all closed. Re open October long weekend 2013. Lake Jindabyne:-Jindabyne reports have been getting better every week with plenty of fish coming close to the banks most of the fishing has been over on the western side off the lake around Curiosity rocks, Hayshed bay, Colorado Point, Edwards bay if you are looking for some good fishing this is where the action is and there’s been plenty of that. Jindabyne has been the pick of the lakes for the past few month and it’s looking to get better as it gets warmer jindy will be the place to fish this summer if the lake says nice and high let’s hope the Snowy Hydro don’t rip the guts out of it this year as they do at Eucumbene!!! Over on the eastern side of the lake is starting to pick up aswell with good reports from Kalkite, Clifford Point, Sids bay. On the weekend the browns have been on the move so pick your days start early you will have better results. It Shouldn’t be long till the Rainbows come on and when they do there should be plenty of action all these fish are in good nick so you might want to up your tippet to be safe. All up Jindabyne is looking good and the fishing is great. Well done to all the people around Jindabyne I have never seen the lake shores look so Clean let’s hope it starts happening around Eucumbene soon. Lake Eucumbene:- thing are starting to look good around Eucumbene the water levels starting to move up. Fly reports have improved with some nice rainbows about for those willing to search. There are also more and more browns getting back from spawning and searching the edges for food. The browns are in great condition looks like there will be plenty of them around this summer I do think there will be many personal best Caught so be ready up your tippet. Suggest woolly buggers, bead head Nymphs, Red fuzzy Wuzzy's, tom Jones will all work depending on the conditions of the day. Best areas to try would be the Dam wall, Seven Gates, Rushes Bay, Anglers Reach and Coppermine bay. A boat would be an advantage at present. Remember a slow retrieve is working the best. Lake Tantangara :- Reports have been ok with some good fishing up higher on the lake reports off some good browns coming in close. Remember watch the weather dress in warm clothing conditions can change very quick. Drifting and casting back to shore in the early morning has been a very productive method with either soft plastics of small celtas too and not suprising with fish cruising in the shallows. 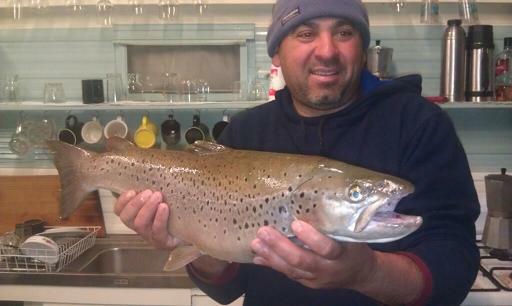 Other lures to try are Min Mins, Blades, Rapalas, Jindabyne is starting to fish the way it should now with the brown in good nick. Most lures are working well at the Moment. 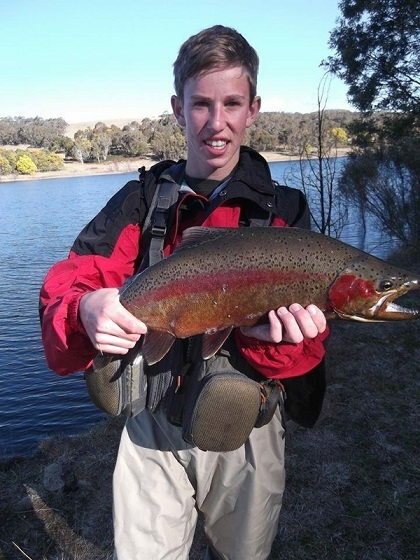 Eucumbene:- Eucumbene reports have been varied with some good fish being taken by those who put in the time. Trolling and drifting and casting lures around the river mouth would be the best methods at the moment Don't forget the rivers are closed so don't go to close. 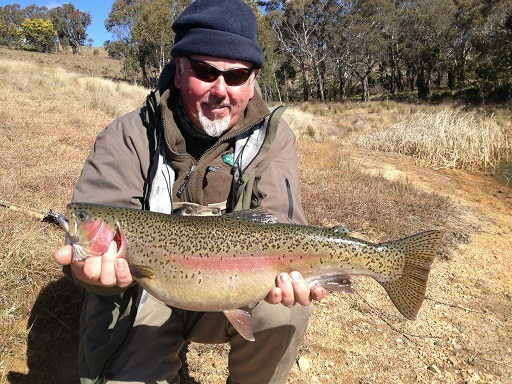 Old Adaminaby has been fishing ok with some reports off rainbows close to the Banks tassie devils have been going well on a slow troll. spinning the banks around the dam wall and around the tree lines are pulling in some good rainbows and browns Blades have been the stand out lures. Down the lower end of the lake is Improving every week drifting in a boat is working well with Blades and Rapala’s rainbows and browns. Seven gates, Rushes bay, have been the best areas. Tassie’s y36,y05,y106,10,31,38,80 Not much has change with the lures Celtas #2,#3 are working well. 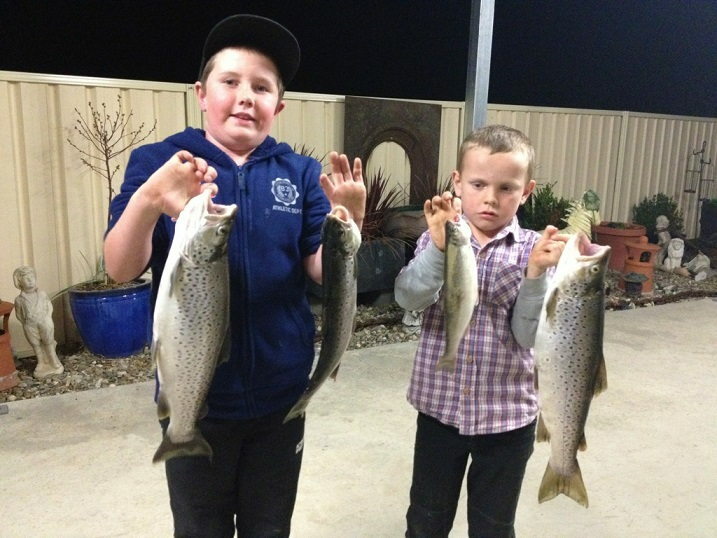 BAIT FISHING EUCUMBENE AND JINDABYNE..
Eucumbene-:Bait fishing has improved over the last week with some good rainbows and browns taking the worms and power bait around Rushes bay, Seven gates. In the last week we had some good reports worms under a bubble and on the bottom have been working well. Over at Rushes bay thing have been good on the power bait and Sevens gates worms have been the stand out bait with some rainbow on power bait. Up the top end off the lake worms has been the go with most fish been taking the bait in the small bays. 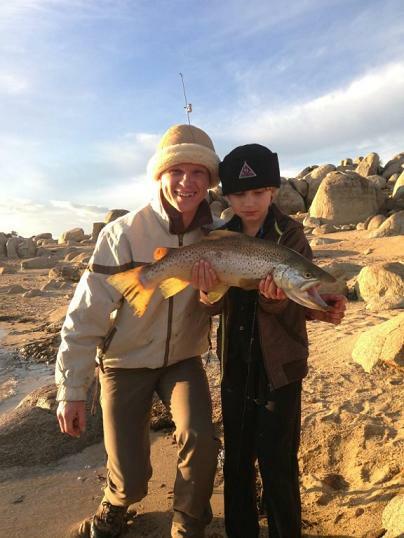 Over at Braemer Bay worms and power bait have been doing well on the browns and rainbows. Best bait is worms .